The book explores the relationship between Muslims, the Common Law and Sharīʽah post-9/11. The book looks at the accommodation of Sharīʽah Law within Western Common Law legal traditions and the role of the judiciary, in particular, in drawing boundaries for secular democratic states with Muslim populations who want resolutions to conflicts that also comply with the dictates of their faith. Salim Farrar and Ghena Krayem consider the question of recognition of Sharīʽah by looking at how the flexibilities that exists in both the Common Law and Sharīʽah provide unexplored avenues for navigation and accommodation. The issue is explored in a comparative context across several jurisdictions and case law is examined in the contexts of family law, business and crime from selected jurisdictions with significant Muslim minority populations including: Australia, Canada, England and Wales, and the United States. The book examines how Muslims and the broader community have framed their claims for recognition against a backdrop of terrorism fears, and how Common Law judiciaries have responded within their constitutional and statutory confines and also within the contemporary contexts of demands for equality, neutrality and universal human rights. 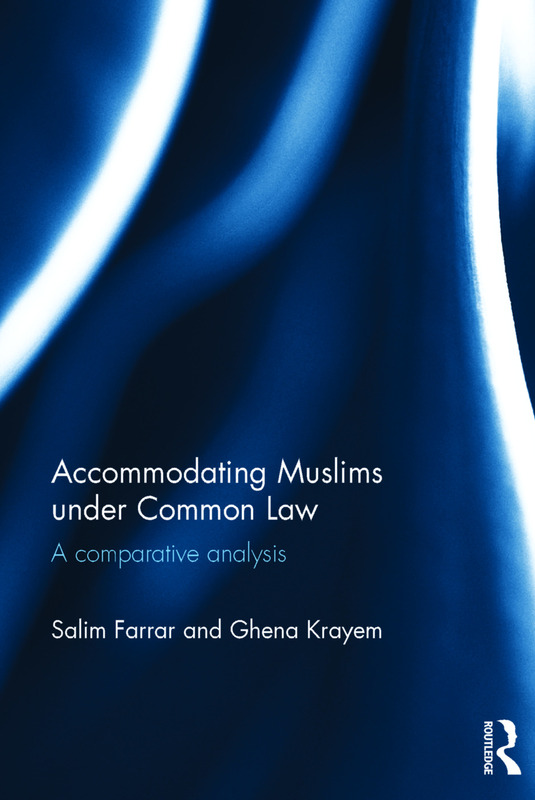 Acknowledging the inherent pragmatism, flexibility and values of the Common Law, the authors argue that the controversial issue of accommodation of Sharīʽah is not necessarily one that requires the establishment of a separate and parallel legal system. Salim Farrar is an Associate Professor at the University of Sydney, Australia. Ghena Krayem is a Senior Lecturer at the University of Sydney, Australia.